While driving across Rajasthan, we encountered a road that had cut through a stream and divided it into two water bodies. The larger water body was at a slightly higher elevation as compared to the smaller one. Several fish that had collected in the smaller water body were trying to jump on to the road and struggled on the hard surface to cross over. 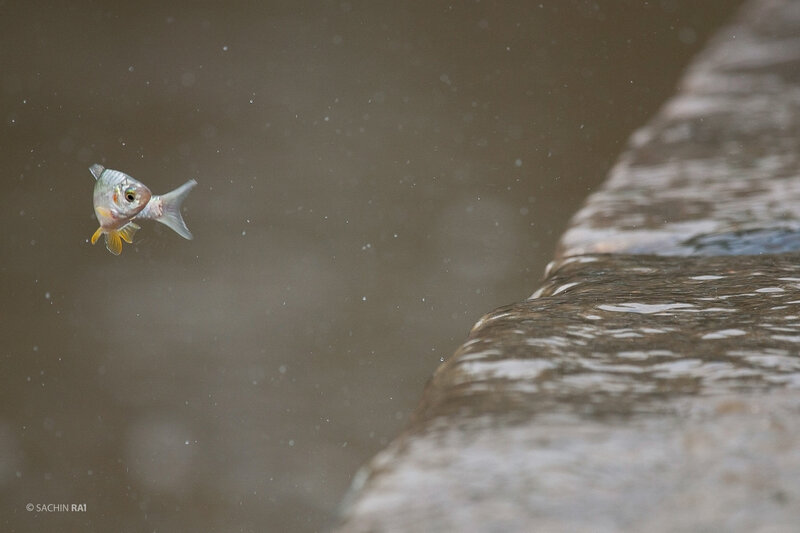 These Barb fish that were barely three inches in size would try to jump as high as three feet in an effort to land on to the road. This one jumped high enough but missed the road by a few inches.